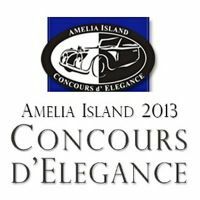 Miss Margaret Dunning, is recently returned from the Amelia Island Concours d’Ã‰lÃ©gance in Florida and in May will take part in the Keels and Wheels concours in Seabrook, Tex May 4-5, 2013. 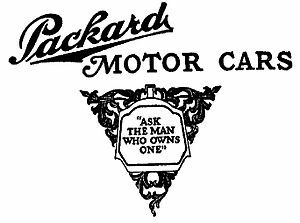 She hopes to attend the coming Indy 500 race and will speak this summer at the national Packard Club’s annual meeting, to be held in Pontiac, Mich. In between, there is philanthropic business to attend to, and she will keep tabs, as usual, on Plymouth’s museum and library. 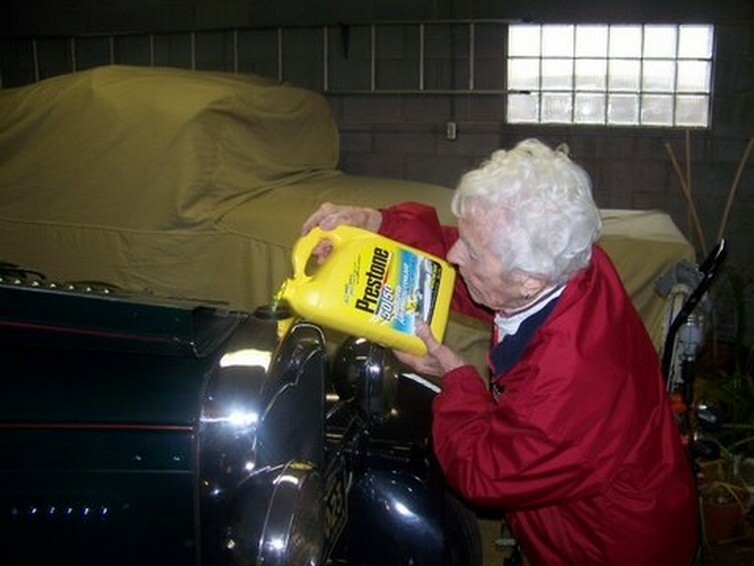 However well she is doing, though, Ms. Dunning is 102 — 103 this June — and her beloved Packard roadster is 83. 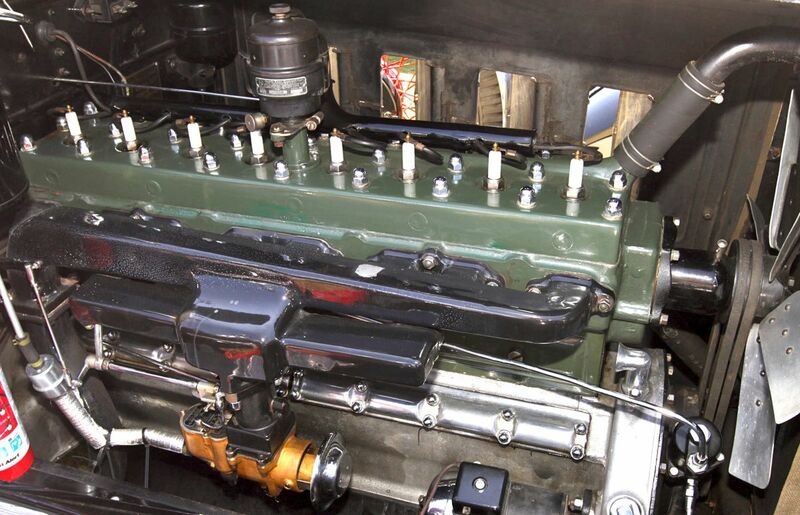 Each needs proper maintenance and preparation to keep them going strong. 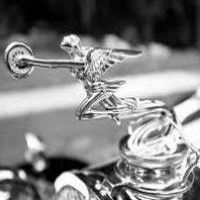 As for the Packard, there is a routine. Before it’s transported to out-of-state shows, Ms. Dunning and Dan Clements, a friend of more than 20 years, go over it thoroughly. He begins underneath, cleaning and polishing, then does the wheel wells. After that they clean the engine, shining up the aluminum block. Next up is the car’s body. Mr. Clements looks for spots that need paint touches. Ms. Dunning helps with polishing, particularly the chrome headlamps and bumpers. 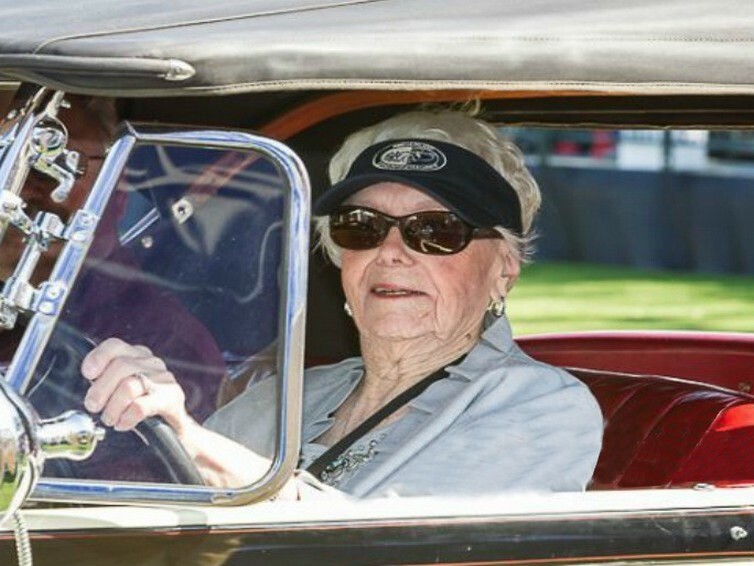 “You’ll notice that Margaret never allows anyone to touch the chrome, because she knows that fingerprints leave lasting marks,” said Mr. Clements, a Roush racing employee who works with the special-vehicles team at the Ford Motor Company. He said the process takes about a week, a few after-work hours daily, finishing up on weekends. “Margaret and I enjoy talking while we’re cleaning, she might even check fluid levels, and then we go to dinner,” he said. 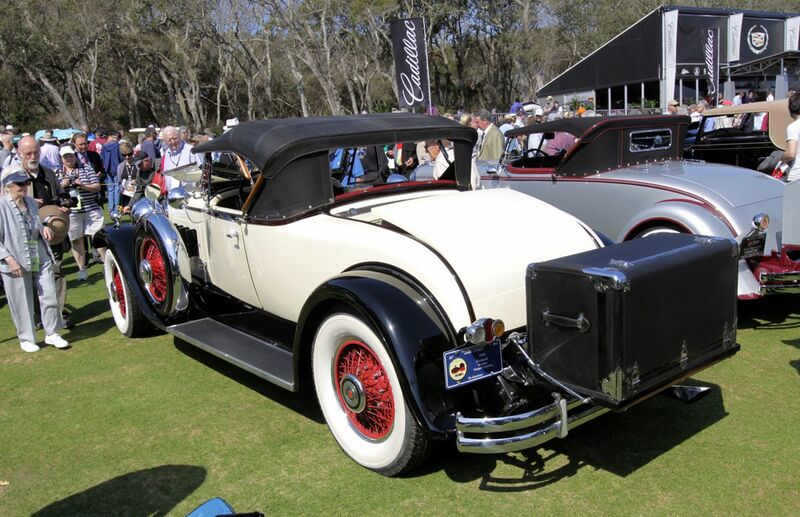 Because the Packard is so wide and tall, it usually takes two people to load it, said Mr. Clements who, along with his wife, JoAnne, usually accompany Ms. Dunning to major car events, where he is informally known as her handler. Ms. Dunning admits to being a last-minute packer. 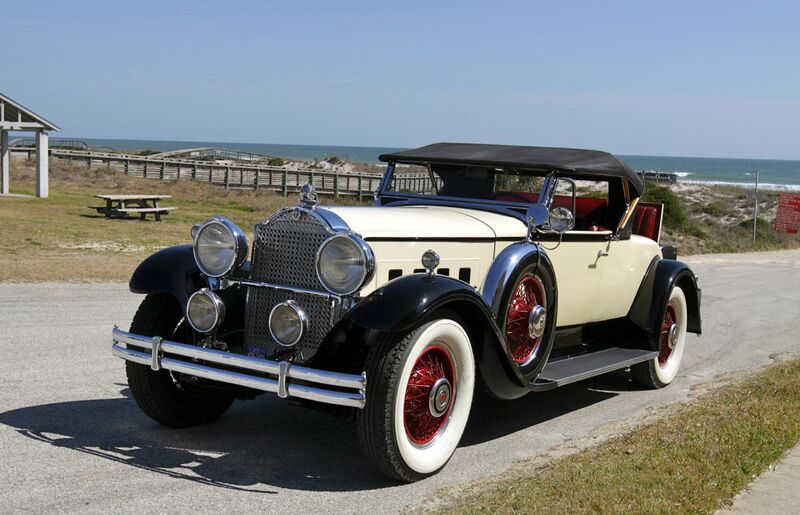 “I avoid it because you never know what the weather’s going to be, because it can get cool even if it’s somewhere generally warm,” she said, adding that she stashes an umbrella and sun visor in her Packard so that she does not have to pack them. She frets if she has not gotten personal bookkeeping done before she leaves. She has three desks in her home, each for a specified task. “I like to be up-to-the-minute on my things, but if I can’t do it, I’ll delegate that something to someone else so that I don’t have to worry about it,” she said. Before she rises on travel days, she lengthens her stretching routine. “It helps to get me ready,” she said with a chuckle. “I find out if everything is working, and how it’s working.” Then she has her daily oatmeal. 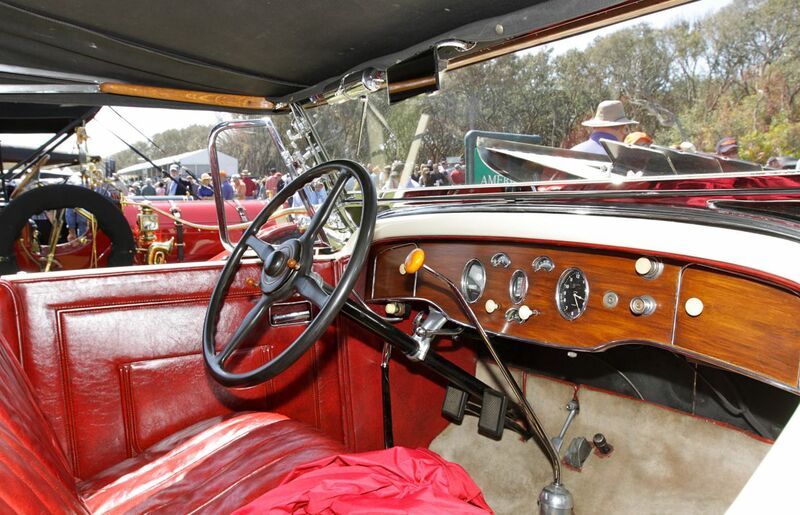 Of course, the cars are the main attraction at the events. “I love it, sometimes they have some I’ve never seen before, and if I know they’re going to be there, I make sure I see them,” she said. Ms. Dunning, who still drives, said she would continue her schedule for as long as she is able. “I’ve never thought of myself as retired,” she said. “This is a wonderful life, a wonderful world. 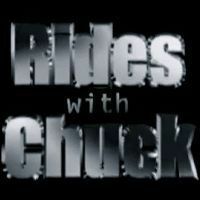 Credit : Photos by JoAnne Clements & Richard Owen.